In recent months Sir David Attenborough brought extraordinarily vivid scenes of life in the Arctic and Antarctic into the living rooms of the British people through the critically acclaimed BBC TV series ‘Frozen Planet’. Everyone, everywhere, who saw this series, has had their curiosity and sense of care for the Arctic awakened. This popular interest in the Arctic and in the implications of climate change in the region was further enhanced by the recent publication of a study by an academic from the University of Reading which linked the shrinking of Arctic sea ice to colder, snowier winters across the UK. Brits can look out of their windows at unusual scenes of snow in November or March and the Arctic comes to mind. Arctic states cannot escape the fact that when citizens across the globe are confronted with climate change at home, which they see as connected with, or even originating in the Arctic, there will be an inevitable increase in concern about the Arctic. The way those citizens express that concern will not always be welcome to those who live in the Polar region. This is the conundrum that we saw in the European Parliament when the issue of the ban on the trade in seal fur products was debated. In our view this global popular concern for the Arctic is only likely to increase and become more complex to accommodate or manage through existing structures. Norway has always strived to get others to show an interest in the Arctic region. Now Norway has achieved both awareness and a growing commitment to the region, demonstrated by the queue of those wishing to join the Arctic Council as Permanent Observers, yet it has to find a way of dealing with this which is appropriately inclusive, equitable and effective for all parties. The recent white paper published by the Norwegian Foreign Ministry ‘The High North: visions and strategies’ states unambiguously that “The High North is Norway’s number one foreign policy priority”. It goes on to outline seven trends that will ‘shape the initiatives and priorities of Norwegian High North policy’. Reading the white paper no-one can doubt Norwegian commitment to the High North. With this explicit commitment to the High North as background, Norway has to get over the idea that, whilst wanting interest from elsewhere, it should not downplay the contribution others have to make. For example, to describe in the High North white paper, the EU as a ‘major economic actor from outside the region’ is unhelpful to say the least when the EU has three Arctic Member States: Denmark (also a so-called ‘coastal state’), Sweden and Finland. To this should be added the fact that both Iceland and Norway participate in the Single Market – the major economic action themselves – as EEA members. To try to keep the EU at a distance in this way is unrealistic. Indeed many EU nations outside the Arctic such as the UK, France and Italy have a long-standing interest in Arctic affairs not least in their scientific research record. The work of the Arctic Council has shown the effects that climate change through melting sea ice are having elsewhere in the globe. Suddenly, like it or not, what is happening in the Arctic and how it is dealt with becomes everyone’s business. This is an issue which Norway and other Arctic states have to accommodate – a growing number of players have a legitimate interest in what happens in the Arctic and therefore in the ‘governance’ regime there. It is unlikely, and probably not appropriate, that mere Permanent Observer status will be sufficient to satisfy this demand and there may have to be a whole scale overhaul of Arctic Council structures. In countries where thousands of citizens are likely to be rendered homeless as a direct result of the rise in sea levels caused by melting ice in Arctic waters, does that alone not give those country’s governments and peoples some sort of legitimacy and interest to have a say in how the Arctic is dealt with? 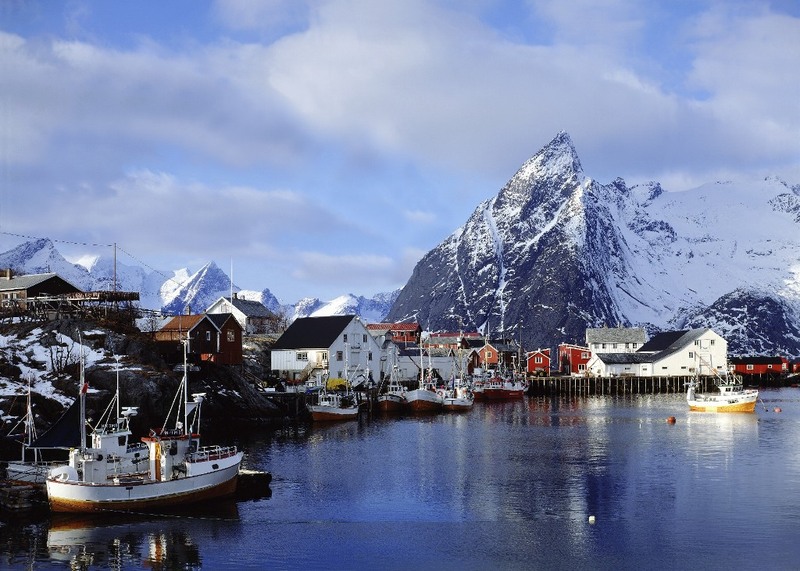 Norway is to be congratulated on its management of fish stocks, which it has increasingly done within the area in cooperation with Russia. Given that fish is Norway’s second largest export industry such management is hugely important. It should also be born in mind that the EU as a whole is the biggest market for Norwegian fish and the size of the Norwegian presence at the annual Brussels seafood fair bears that out. The point is that the customer in terms of the EU has a huge potential to say how fish are caught and the industry managed, so the Arctic fisheries are unable to escape neither EU involvement nor regulation. The same is true of energy. The Barents Sea is described in the Norwegian white paper as an important ‘European’ energy province. Likewise it is said, quite correctly, that ‘Norwegian knowledge institutions and companies’ will/should ‘play a leading role in developing the new energy province’. However, as with fish, the EU and its Member States are the key market. This means that they have the potential to have a say about where and how, and indeed one might even add if, energy supplies should be exploited from Arctic. We have already seen an indication of this in the recent report from the European Parliament on the oil and gas sector in the wake of the Deep water Horizon disaster. The sense of the need for a more protective regime for the Arctic was articulated already as the European Commission looks at EU wide safety rules for offshore oil drilling. Likewise with the Transparency Directive, where international campaigners started their focus on the oil and gas industry elsewhere in the world in terms of reporting requirements for company accounts. It is unlikely that activities in the Arctic will or should escape scrutiny as this Directive goes forward. Norway has always argued that the Law of the Sea, specifically UNCLOS, is sufficient to deal with all international issues in the Arctic; this is not an uncontested position. The High North white paper claims that all ‘important issues concerning jurisdiction in the region have been clarified’, but the unresolved disputes around Spitsbergen clearly gainsay this statement. Likewise, the sentence ‘thus, for the first time we know the full extent of the geographical scope of the Kingdom of Norway – on land, at sea and on the seabed’ could be seen to counter the perceived wisdom of some countries who are signatories of the Spitsbergen Treaty. Much has also been made of the ‘unilateral” or ‘side’ agreement, the so-called, 2008 Ilulissat Declaration by the five littoral Arctic states. Such a declaration and any such activities by a core group clearly raise hackles amongst other Arctic states particularly Iceland. By way of something of a contrast, the Northern Dimension Partnership where Norway plays a full and active role shows just how successful broad ‘governance’ structures can be when it comes to the Arctic and the High North. Limiting the number of partners once the EU’s Northern Dimension was revamped was never seriously considered by the EU; something demonstrative of a much more open approach. Increasingly what the EU wants in the Arctic will be what many global players will want; meaningful involvement on behalf of those they represent who see natural events in the Arctic impacting on their daily lives. The difference with the EU is that because of the powers of the directly elected European Parliament it can be a focus for amazing, but equally unpredictable, developments in transnational democracy. It can be argued that this is nothing new in an internet connected world. For example, our last months in the European Parliament witnessed an inbox full of emails about the proposed building of a new establishment in East Yorkshire in the UK using dogs for research (most of the mails came from South America!). Add to this numerous emails about a centuries old horse fair in the Lake District, again in the UK, where casual animal cruelty is alleged and has been videoed. These issues are not really for the European Parliament to decide, but it can decide on consumer issues like the seal products ban. It can set standards for fisheries and the oil and gas industry. It can legislate for the safety of its tourists and shipping. Most importantly it can now have a high level of involvement in and say ‘no’ to international agreements. This is a hugely under explored new dynamic in international relations. We have seen how it worked with the Swift Agreement and more recently with the popular pressure against the ACTA agreement. The Arctic will likely be no different when the appropriate trigger issue in the popular global mind is faced. That is why the EU is interested in the High North. Quite simply it will be in the front line. « So what do we want for the Arctic?